Fits: 175 HP Johnson/Evinrude 1977-78 models. 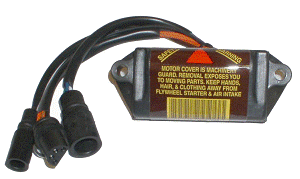 Fits: 175 HP Johnson/Evinrude 1979-83 models. Fits: 175 HP Johnson/Evinrude 1985 models. 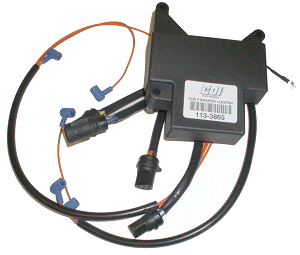 Fits: 175 HP Johnson/Evinrude 1986-88 models. 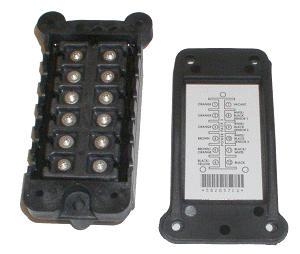 Fits: 175 HP Johnson/Evinrude 1989-90 models. 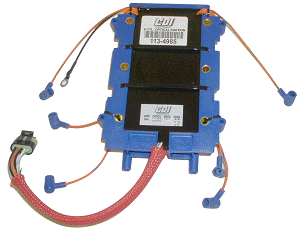 Fits: 175 HP Johnson/Evinrude 1991-98 60° models. 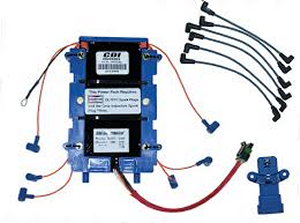 Fits: Power pack kit for 1991-06 150HP 60 degree Johnson Evinrude V6. 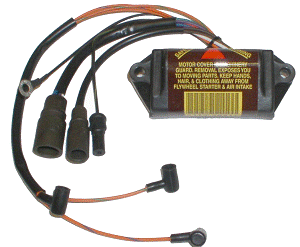 Contains power pack, optical sensor, and inductive spark plug wires.